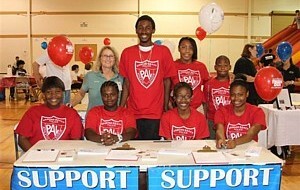 The SFAPAL YAC [Youth Advisory Council] consists of outstanding youth from each FL PAL region. The YAC help coordinate the Youth Directors Conference. To be selected to serve on the Youth Advisory Council is an honor and privilege for those youth that have exhibited outstanding leadership qualities and are ready to dedicate time and effort into making sure that all the youth that attend the Annual Youth Directors Conference come away with an experience that they will never forget.